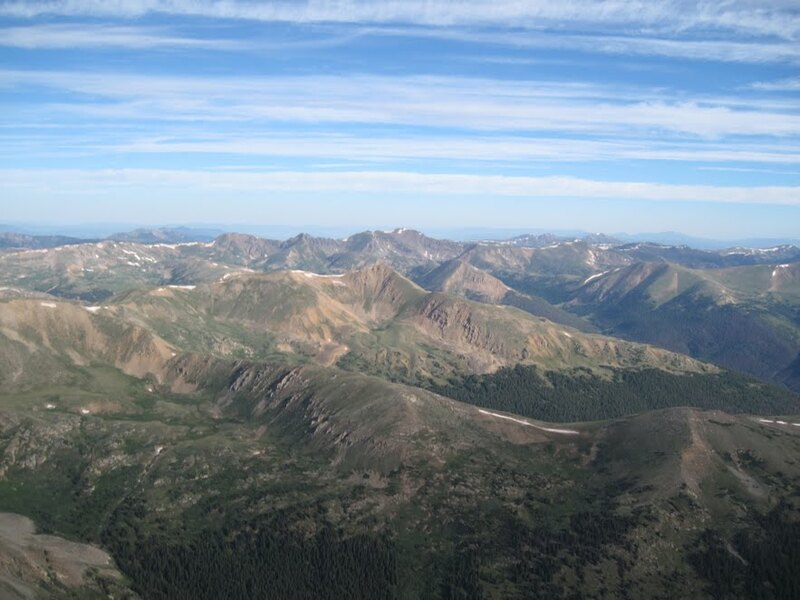 In many ways Grays and Torreys Peaks are Colorado's quintessential fourteeners. 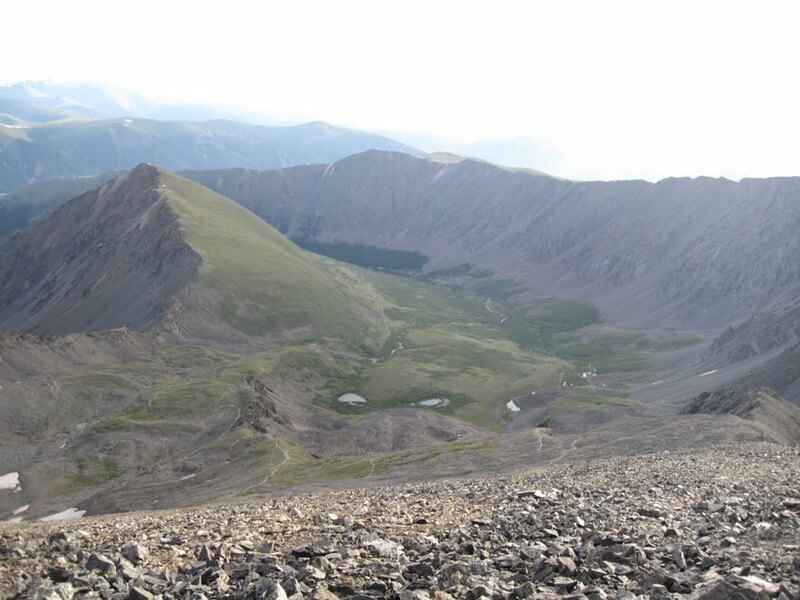 An excellent trail switchbacks all the way to the summits of both peaks, the trailhead is over 11,000' and only three short miles off I-70 (Torreys Peak, in fact, can be seen by the astute motorist from I-70 just east of the Eisenhower Tunnel), they are close to the front range, and Torreys offers a variety of more challenging routes. Grays and Torreys are an excellent starting block for an aspiring mountaineer. 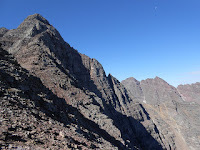 As a result of all of these features, they are very popular mountains. Our experience with Grays and Torreys came after a disappointing lull in our summer of climbing. 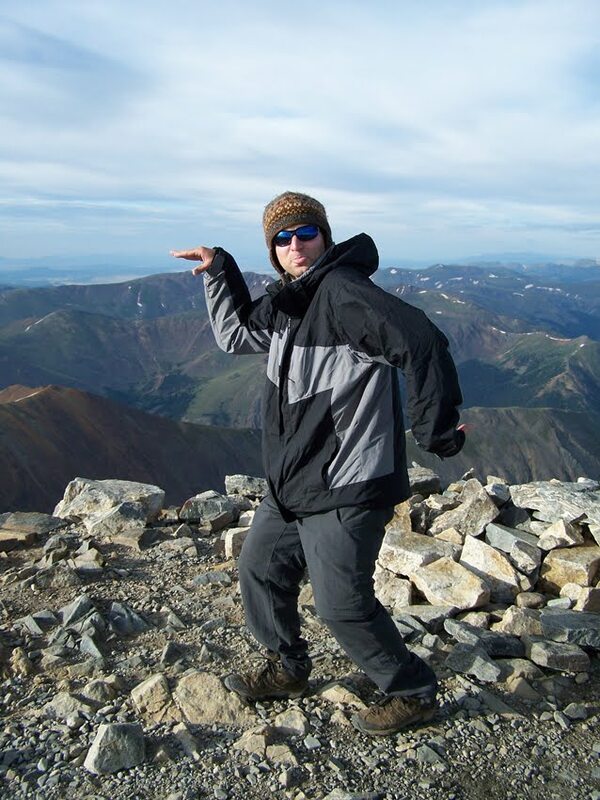 For the first few weeks of our adventure we had been on a roll, averaging a fourteener just about every other day. As the summer monsoon season took full swing, however, it seemed as if we were being turned back from as many mountains as we were summiting. 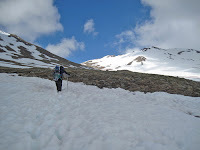 The weather forecast for the week of our planned Grays/Torreys hike was not good, and we had been turned away from Holy Cross only a few days before. But after laying up in Frisco to wait for a break in a slow-moving low-pressure system, we finally got our chance to climb and were rewarded with a beautiful day. 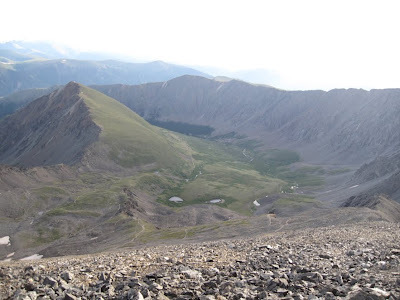 The hike up Grays/Torreys begins almost at treeline. 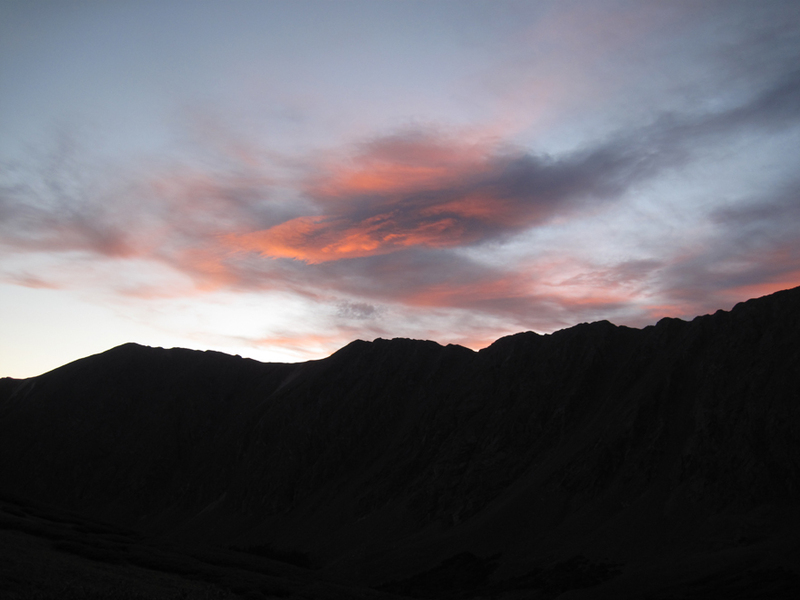 After hiking for so long in the Sawatch Range, where most trails began around 10,000' and some as low as 8,900', this was a change that was both welcomed and strangely mourned by bot of us. Though it was nice to be able to reach a summit in a shorter amount of time, and with less effort, we had grown to cherish the moments when our trails suddenly emerged from the forest into the wide-open green spaces of the alpine tundra. It is always a magical experience, and one that often came an hour or more into our day, and after a considerable invest of effort, making it a respectable and highly anticipated reward. After a very early start we found ourselves ahead of the majority of the crowd, and after only just over two hours we reached Grays summit. 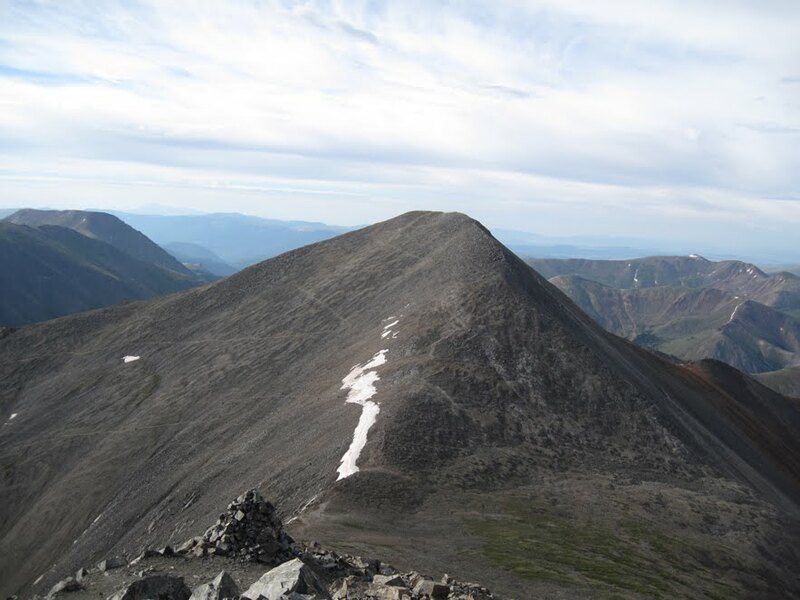 It felt like a long time since we had reached a fourteener's summit (about 11 days), a testament to the amount of climbing we had accomplished this summer. 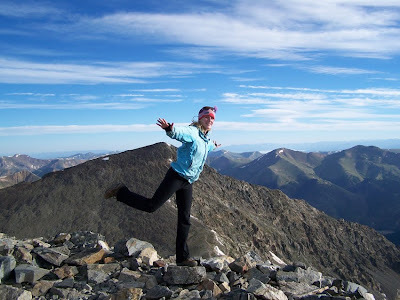 Strong winds were already gathering, so we didn't linger long before traversing over to Torreys summit, a journey that took just less than an hour. Though Grays Peak is little more than a massive pile of talus, Torreys is an interesting mountain that offers a variety of terrain, rugged southeast and northeast faces, and a beautiful summit perch. 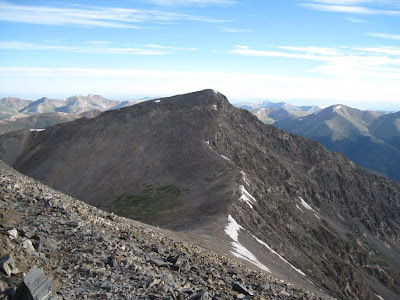 We took a moment from the top to peer down Torreys famous Kelso Ridge with its crux section, the knife edge, just below the summit. The route looked plausible and exciting, and like it would perhaps be a good place to warm up for more difficult ascents such as on Capitol Peak, or Little Bear.